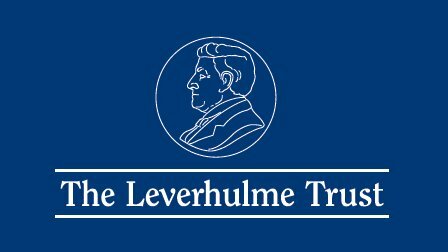 Are you interested in bidding to Leverhulme Trust for research funding? Or finding out a bit more about what they expect to see in an application? If so, come along to our visit from Jean Cater of the Leverhulme Trust on 29 April, 12-2pm. Bookings will open on the organisational development website shortly, and I will update this post accordingly. 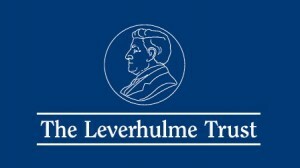 In the meantime, if you’d like to find out more about the Leverhulme Trust, see http://www.leverhulme.ac.uk. Working on a variety of initiatives in R&KEO over the years, one element of development which we receive consistently excellent feedback, is the events we arrange where funders to come to BU and present their organisations funding priorities and advice on making an application. We have arranged for several funders to visit BU in 2014, and are advertising the first three in order for you to block out time in your diary now! On 20 January, the AHRC will be visiting to discuss their research priorities, calls and their top tips for making a submission. On 19 February, the British Academy will be visiting to discuss proposals they fund and share their tips on making an application. On 19 March the Leverhulme Trust which funds all academic disciplines will be visiting to discuss their grants and give advice on making an application. •innovation for sustainable living, which might involve disruptive science and engineering and their role in new energy, materials and transport, mathematics and statistics, public policy, economics and the complexities of trade-offs, psychology and determining the driers of behaviour change, lessons from history and comparative social analysis. Grants are worth between £500,000 and £1.75 million each for a period of up to five years for each of the topics. The RKE Operations team can help you with your application. Please direct any enquiries to RKE Ops in the first instance. Emeritus Fellowships assist senior established researchers to complete a research project and to prepare the results for publication. 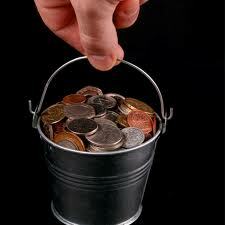 The maximum value of a Fellowship is £22,000. Eligible costs include: travel and subsistence costs for periods away from home; the employment of a research, clerical or secretarial assistant to support (rather than conduct) the work of the applicant; photocopies; photographic expenses; office or laboratory consumables. Please note that there is no provision for a personal maintenance allowance or remuneration for the applicant under this scheme. Please ensure that applications do not include any of the ineligible costs listed here. Fellowships are tenable for between 3 and 24 months, and the current round of awards must commence between 1 August 2012 and 1 July 2013. Please read the following before submitting and application. Research Fellowships are open to experienced researchers, particularly those who are or have been prevented by routine duties from completing a programme of original research. There are no restrictions on academic discipline, and awards are not limited to those holding appointments in higher education. The maximum value of a Fellowship is £45,000. The awards provide research expenses over and above normal living costs and/or provide a contribution towards reasonable replacement costs or loss of earnings. Fellowships are tenable for between 3 and 24 months, and the current round of awards must commence between 1 June 2012 and 1 May 2013. If your query has not been answered in these pages please contact Anna Grundy (020 7042 9861), Bridget Kerr (020 7042 9862) or Andreas Heiner (020 7042 9863). Study Abroad Studentships support an extended period of advanced study or research at a centre of learning in any overseas country, with the exception of the USA. The Studentships comprise: a basic annual maintenance allowance of £17,000; a partner allowance of £6,000 if a Student is accompanied by a dependent partner; a return air fare; and a baggage allowance. Further allowances are payable at the Trust’s discretion, e.g. assistance with overseas tuition fees and essential research costs. Studentships are tenable for between 12 and 24 months, and the current round of awards must commence between 1 June 2012 and 1 May 2013. If your query has not been answered in these pages please contact Bridget Kerr (020 7042 9862). Early Career Fellowships aim to provide career development opportunities for those who are at a relatively early stage of their academic careers but with a proven record of research. It is anticipated that a Fellowship will lead to a more permanent academic position. Applications are welcomed in any discipline, and approximately 80 Fellowships will be available in 2012. Fellowships can be held at universities or at other institutions of higher education in the UK. The Trust will contribute 50% of each Fellow’s total salary costs up to a maximum of £23,000 per annum and the balance is to be paid by the host institution. Given the prestige of the awards each Fellow may request annual research expenses of up to £6,000 to further his or her research activities. Fellowships are normally tenable for three years on a full-time basis, but requests to hold the award part-time over a proportionately longer period will be considered if this is appropriate for the nature of the research proposed and the career development of the individual. Please note that Fellowships of 24 months are no longer offered by the Trust. Fellowships will commence between the beginning of the 2012/2013 academic year and 1 May 2013. If your query has not been answered in these pages Andreas Heiner (020 7042 9863). The objective of these awards is to enable distinguished academics based overseas to spend between three and ten months inclusive at a UK university, primarily in order to enhance the skills of academic staff or the student body within the host institution. It is recognised that Visiting Professors may also wish to use the opportunity to further their own academic interests. The over-riding criteria for selection are first the academic standing and achievements of the visitor in terms of research and teaching, and secondly the ability of the receiving institution to benefit from the imported skills and expertise. Priority will be given to new or recent collaborative ventures. The sum requested should reflect the individual circumstances of the visitor and the nature and duration of the proposed activities. A maintenance grant up to a level commensurate with the salary of a professor in the relevant field at the receiving institution may be requested. Economy travel costs to and from the UK will also be met. Requests for associated costs, if justified by the programme, may include, for example, travel within the UK, consumables, and essential technical assistance. A Visiting Professorship may last for between three and ten months inclusive. Application materials can be accessed from the Trust’s website. Applications must be submitted online by 4.00pm on 11 October 2012. If your query has not been answered in the above links please contact Andreas Heiner (020 7042 9863). involve a degree of challenge and evidence of the applicant’s ability to assess risk. If your query has not been answered in the links please contact Matt Dillnutt regarding Outline Applications (020 7042 9873); or Nicola Thorp regarding Detailed Applications (020 7042 9872). Jean Cater, assistant director at the the Leverhulme Trust was at BU yesterday. At a well-attended event, Jean talked about the range of funding opportunities available for academics, and outlined the Trust’s ethos and criteria. She also fielded an hour’s worth of questions. Jean’s slides are now available – just click here to access them. Please contact Caroline O’Kane if would like to find out more about the Leverhulme and their schemes, and to find out how we can support the development of your funding proposal. This is a reminder that Jean Cater from the Leverhulme Trust is coming to BU on 1st February. There are limited places available – if you would like book a place please click here. Jean Cater from the LT is coming to BU, and its a great opportunity to find out more about how the Leverhulme works, what they are looking for in a proposal and what they fund. The Leverhulme Trust offers a range of funding opportunities – across all disciplines. This includes research grants, international networks, early career fellowships, research fellowships and more. plenty of time to ask questions too. On 1st February 2012 Jean Cater from the Leverhulme Trust is coming to BU. This is a fantastic opportunity to find out more about how the Leverhulme works, what they are looking for in a proposal and what they fund. Information about how to book will come in January 2012. There is limited space so please watch this space for more information. The deadline for applications is 4pm on 11 January 2012. If you’d like to submit a bid then speak to the lovely people in CRE Operations who will help you with the submission process. I’d also recommend that all proposals are run through our excellent internal peer review process, the RPRS, to ensure they are as strong as possible prior to submission. For further information on the RPRS contact Caroline O’Kane or see the RPRS website. At the start of the year ULT agreed to an enforced, mandatory internal deadline of five working days for the submission of Research Council bids via the Je-S system. This has been extremely effective in identifying and correcting errors in applications prior to bid submission, resulting in higher quality applications being submitted. To enable BU to seriously compete for future Research Council funding, bids submitted by BU need to be of the highest quality possible. The Research Proposal Review Service (RPRS) has been established to offer advice to improve the quality of bids submitted. The RPRS is there to help you submit the best quality proposal possible – talk to Caroline O’Kane about putting your bid through the RPRS. The decision from UREF to expand the internal submission deadline to cover these additional funding bodies is to allow sufficient time for the CRE Operations team to undertake the necessary institutional checks and also to provide the opportunity to make any required changes in a more considered, less pressured fashion. Five working days is the internal deadline advised by the Research Councils and other major funding bodies. Academic staff will continue to be guided through the process and made aware of the internal submission deadlines by the CRE Operations team. This change will take effect from 1 August 2011.